YOUR INTENSIVE CARE HOTLINE - How to cope when your loved one is critically ill in Intensive Care! Having a loved one critically ill in Intensive Care is one of the biggest challenges you and your family will encounter in your entire lifetime! In fact, having a loved one critically ill in Intensive Care is a “once in a lifetime” experience that you can’t afford to be getting wrong! Knowing how to cope and how to get results when the stakes seem insurmountably high is a very good life skill to have. Knowing how to make informed decisions, get peace of mind, control, power and influence when Intensive Care teams have “expert” status, “perceived power” and “perceived authority” is very difficult especially in the absence of good role models and perceived options. Feeling intimidated by the Intensive Care team and not knowing where to start doing your own research and seeking for your own truth and wisdom is adding more complexity to the situation. Feeling under pressure by externally imposed deadlines from Intensive Care teams about life or death decisions is the ultimate negative pinnacle of this worst ever possible nightmare! Knowing how to cope and knowing where to find help, advocacy, counsel and consulting is going to help you tremendously during this “high stakes” and “once in a lifetime” situation! Did you know that the change in the health status of a family member is in the top 10 of the most stressful life events? This change in a health status of a family member as being one of the most stressful events in life doesn’t refer to critical illness, it just refers to a change in the health status of a family member. This could be anything, a flue, a broken leg or a mental health issue or something else. How do you think “the change in the health status of a family member” compares to a critical illness? How do those “HIGH STAKES” situations compare to “the change in the health status of a family member? Those situations are way more challenging compared to a “change in the health status of a family member” as far as I’m concerned, because those situations are life or death situations! And they are seemingly situations where you and your family need to find coping strategies and you need to find them fast! The good news is that you have come to the right place for the right strategies, advice and advocacy if your loved one is in Intensive Care! But just as important as the coping strategies are the strategies that get you to talk to and negotiate with the Intensive Care team on a similar level! If you are doing what 99% of the families in Intensive Care are doing you will be intimidated by the Intensive Care team and you won’t make informed decisions, get peace of mind, control, power and influence! In order to cope, you need to believe that you can cope, you need to believe that you can turn things around and you need to believe that you can speak to the Intensive Care team and get what you want, need and deserve! Not believing and not acting on any of the above will get you and your family in big trouble! In order to do so you need to start doing your own research, you need to start acting differently compared to what 99% of the families in Intensive Care are doing and you need to question everything! You also need to start changing your body language when you’re going into Intensive Care! Why do you need to change your body language? Because you need to change the vibe you’re giving off! Don’t walk into Intensive Care like 99% of the families in Intensive Care who don’t cope and who continue to be intimidated by the Intensive Care team. They walk into Intensive Care with their head down, with their shoulders hanging down, with their backs hunched and they are avoiding strong eye contact! 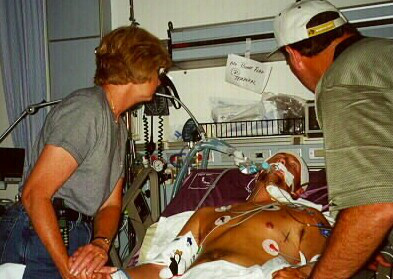 You really need to think about every aspect when your loved one is critically ill in Intensive Care! This includes yourself and how you carry yourself, how you talk, how you walk and also if you believe you can have an impact so that you stay in control of your critically ill loved one’s fate and destiny! And you may wonder, why I should be the one telling you about how to cope when your loved one is critically ill in Intensive Care? That’s a fair question to ask and I can assure you that after nearly 20 years Intensive Care Nursing experience in three different countries where I literally worked with thousands of critically ill Patients and their families, where I also worked as a Nurse Unit Manager in Intensive Care for over 5 years and now in my 1:1 counselling, consulting and advocacy service here at INTENSIVECAREHOTLINE.COM I know of the struggles you and your family are facing intimately. I also had to find my own coping strategies whilst working in Intensive Care, especially when dealing with death and dying and other trauma. I know first hand that it’s not easy, but you’ve come to the right place! I also had to find coping strategies when I lost my uncle in Intensive Care at the young age of 51 when he died of Cardiomyopathy. I was only a teenager then and it wasn’t easy to cope, but I have found ways to cope and therefore I can help you too! To give you more practical advice in order to cope when one of your family members is in Intensive Care, keep in mind that the Intensive Care team is almost always going to be negative! Fighting that negativity is one of your biggest challenges and you must never ever give up! This “HIGH STAKES” game is stacked in the Intensive Care teams favour, if you don’t know how to “play” and if you do what 99% of the families of families of critically ill Patients in Intensive Care are doing. 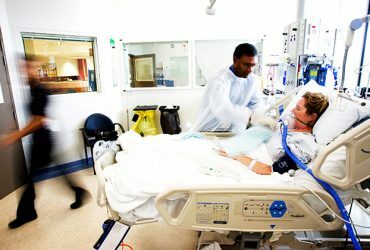 In order to cope when you have a loved one in Intensive Care, you need to also quickly understand that Intensive Care is a machinery that is finely oiled and you need to know and understand that what’s happening in Intensive Care is mainly driven by what’s happening “BEHIND THE SCENES” in Intensive Care! What’s happening “BEHIND THE SCENES” in Intensive Care is what’s driving the negativity of the Intensive Care team and it’s also what’s driving the positioning of your critically ill loved one’s diagnosis, prognosis as well as the care and the treatment the Intensive Care team is offering or not offering! Therefore, it’s of upmost importance that you’ll get professional help quickly when it comes to positioning your critically ill loved one’s diagnosis, prognosis as well as their care and their treatment! If you are failing to do this, the Intensive Care team will stay in control of the meaning and the outcome of your critically ill loved one’s fate and destiny! They have been doing this for years and they do it day in and day out 365 days 24 hours a day. You certainly don’t want any of this and that’s why it’s so important that you do your own research fast and that you get professional counselling, consulting and advocacy so that you stay in control of the meaning of the situation, as well as the fate and destiny of your critically ill loved one!